Ranging from oils and capsules to balms and sprays and everything in between, our products are diverse in how they come, but unified in how they are made. What we sell is strictly GMO-free, organic, vegan and 100 per cent natural with every ingredient extracted from organic hemp within the EU and USA. Completely natural supplements sourced from low-level THC hemp. 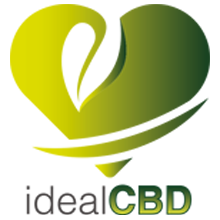 They have curated only the very best collection of CBD products widely packed with benefits which you can find in our competitively priced online store. Love Hemp Water is the first CBD hemp infused spring water in Europe. Each bottle contains 500ml of Natural Spring water infused with CBD hemp droplets. Live life to the full and enjoy the natural rehydration of Love Hemp Water. Natural Spring water rich in minerals infused with CBD hemp droplets.